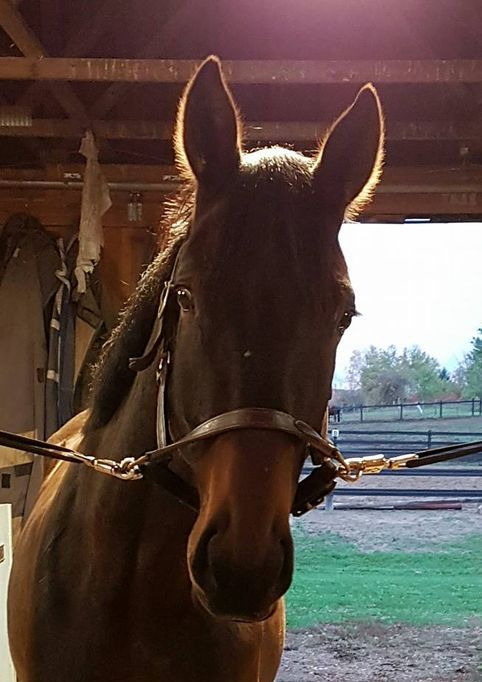 Don Quixote is a 2014 handsome big bodied Hanoverian gelding out of Eclipse by Eherntusch by the legendary Don Frederico! 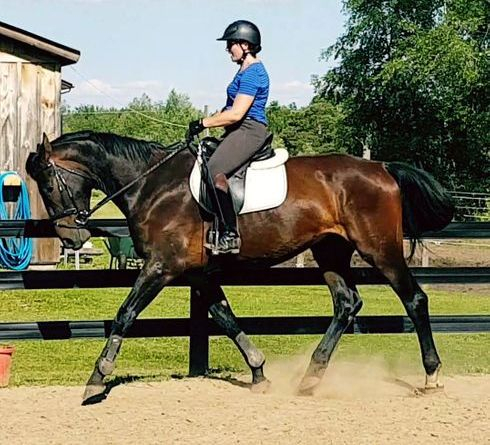 He is a fantastic upper level dressage prospect who has the best characteristics of both of his exceptional parents. He has inherited his mothers strong body and joints, power, and quiet temperment, and his fathers elacticity, lofty movement, and classic good looks. This boy is strong, healthy, and correct. He is inquisitive, sweet natured, confident, and has been handled daily since birth. He easily loads on trailers and has been off property several times. 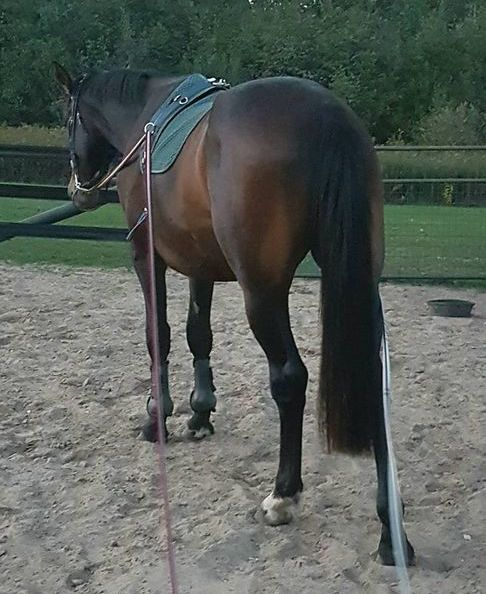 He has good ground manners, ties, cross ties, stands quietly for grooming, and has started the basics of lunging, long lining and has been backed, green but going w/t/c. 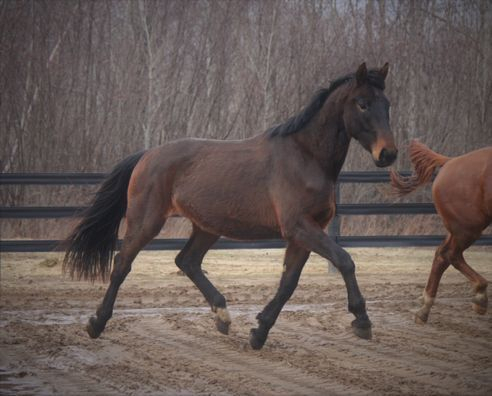 Don Quixote is registered and branded Hanoverian. Expected maturity height of 17h-17.1, 17.0h sticked July 2018. 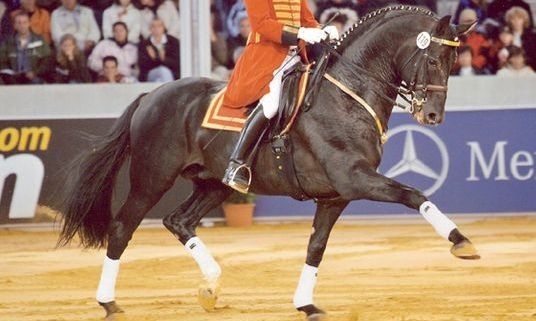 His sire is the elegant and impressive Don Frederico who became Champion of the 1999 Hanoverian Stallion Licensing. This "eye-catcher" completed his stallion performance test as runner-up with the amazing score of 151.67 points in the dressage section. He also constantly improved his qualities during the test, proving his excellent mental qualities. 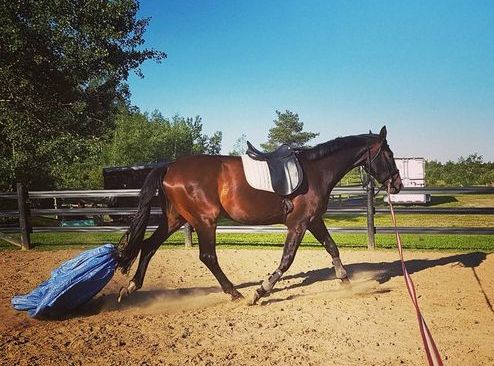 Don Frederico convinces by his excellent rideability and his very good basic gaits which will impress all dressage riders. 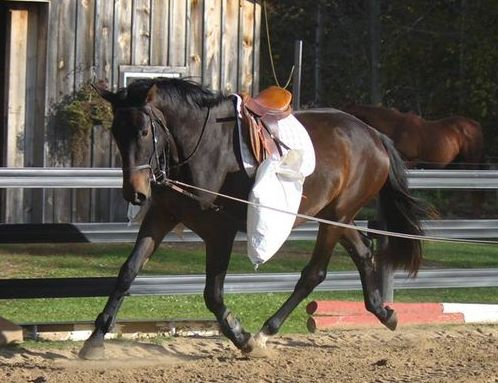 He is a member of the Celle black horse dressage quadrille. 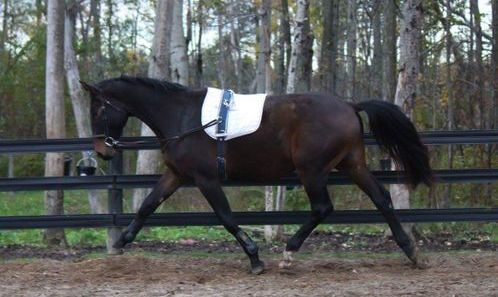 His offspring are also demonstrating dressage excellence. 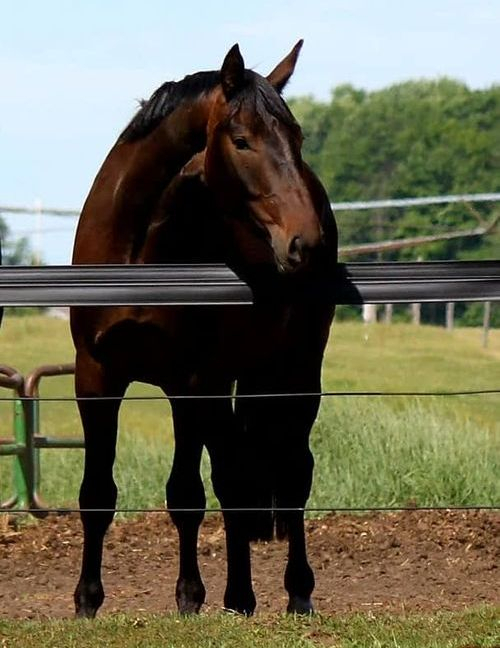 In 2005, Dantonisius and Dark Carlotta were Champion and Reserve Champion Four Year Old Riding horses (mares and geldings) at the Bundeschampionate. 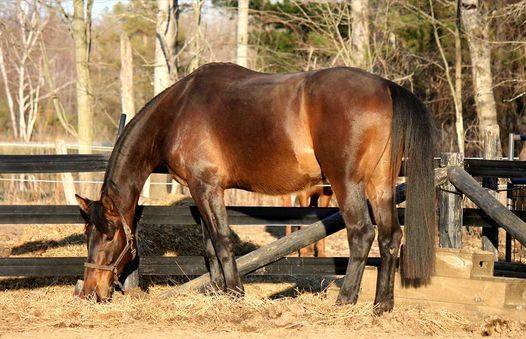 Don Frederico was rated by the German Equestrian Federation as the second most valuable sport horse breeding stallion of 2005, based on his Breeding Value Index of 174 points, with an assurance of 89% heritability. In 2009 he was awarded the Grande Prize of the Hanoverian Verband in part because of the resounding success of offspring such as the internationally successful Grand Prix gelding, Don Johnson (mv Warkant) ridden by Isabell Werth, and the Olympic team silver medalist, Diva Royal (mv Warkant), ridden by Dorothee Schneider. Don Johnson and Isabell Werth have won many top CDNs and CDIs including the Grand Prix Special at the 2012 CHIO Aachen and the 2012 Vienna Masters CDI4* Grand Prix. The 10 yr. old mare, Diva Royal, and Dorothee Schneider made their debut at the Olympic Games and impressed everyone with a final Kur score of 81.661 placing 7th in the world. 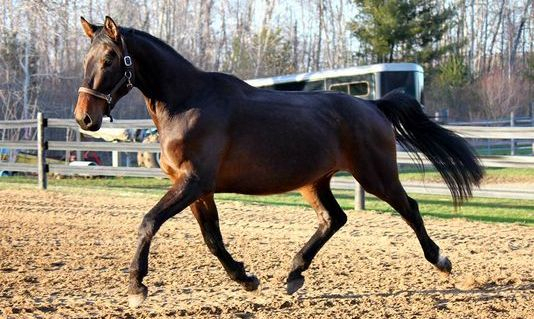 In 2012 Don Frederico was named Hanoverian Stallion of the Year by the Hanoverian Verband. The award ‘Stallion of the Year’ is meant to honor stallions whose progeny are successful in international top sport. This is exactly the most impressive characteristic of Don Frederico. He scores with willingness to perform, power and ambition, and he passes on these important positive traits to his sons and daughters. He set standards. 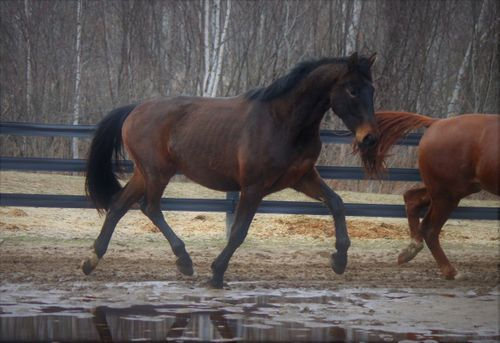 Don Quixote's dam is Eclipse by Ehrentusch. Ehrentusch was the champion of the 1987 stallion performance test at Warendorf finishing first in both the dressage and jumping sections. At the 1989 DLG show in Frankfurt, he was reserve to Weltmeyer. Ehrentusch has been a consistent sire of young horses at the Bundeschampionate – including Ecciavelle, Euro Design, I Cestelli and Espania. 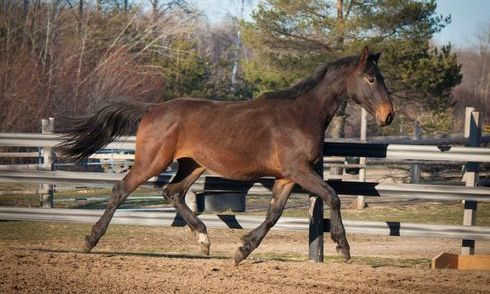 He has also produced a number of top priced auction horses, 33 state premium mares, and ten licensed sons including: ECU, Ehrentanz I & II, Ehrenwert, Edinburgh, Ehrenwort, Escobar, Externstein, Ehrenpreise and Ehrenmarsch. He has been a producer of really top dressage horses, like Etienne, a member of the bronze medal winning US team at the Sydney Olympics with Christine Traurig, Eichendorff, a Grand Prix winner with Victoria Max Theurer and Egalite, ridden by Nina Stadlinger for Austria at the 2006 WEG… he has also produced the international carriage horse, Excalibur W, driven by Josef Dobrovitz for Hungary. His showjumpers include: Emily with Rene Tebbel, Escada and Horst-Klaus Heleine and El Paso of Kenia with the Irishman, Denis Lynch. 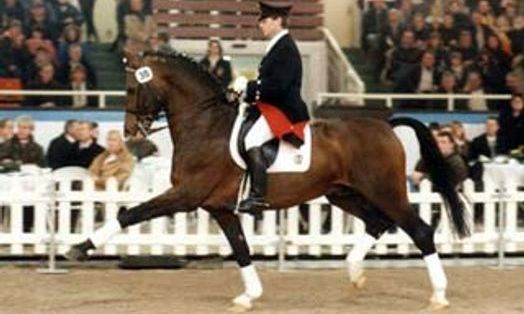 On the WBFSH dressage stallion standings for 2007, Ehrentusch was in 9th place with five representatives, the most successful being Austria’s Egalité with Nina Stadlinger however by 2013, he had slipped to 43rd, with points from Eichendorff, and Isabell Werth’s El Santo. 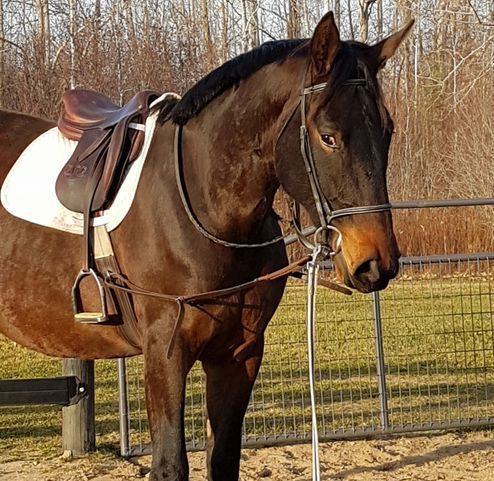 This exceptional dressage prospect is available for sale to a serious show home for $32,000 Canadian (plus applicable tax for Canadian buyers), with the current exchange rate it is approximately $25,000 US dollars (no taxes apply to US buyers), which includes his registration and German Verband passport. 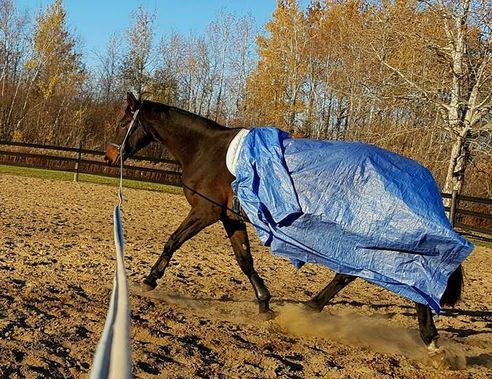 Payment plans available, and ask us about our reduced boarding rates for our young horses to ensure they get a great handling and life experience.